MICROLIFE WatchBP®03 | CARDIO ON LINE EUROPE S.r.l. 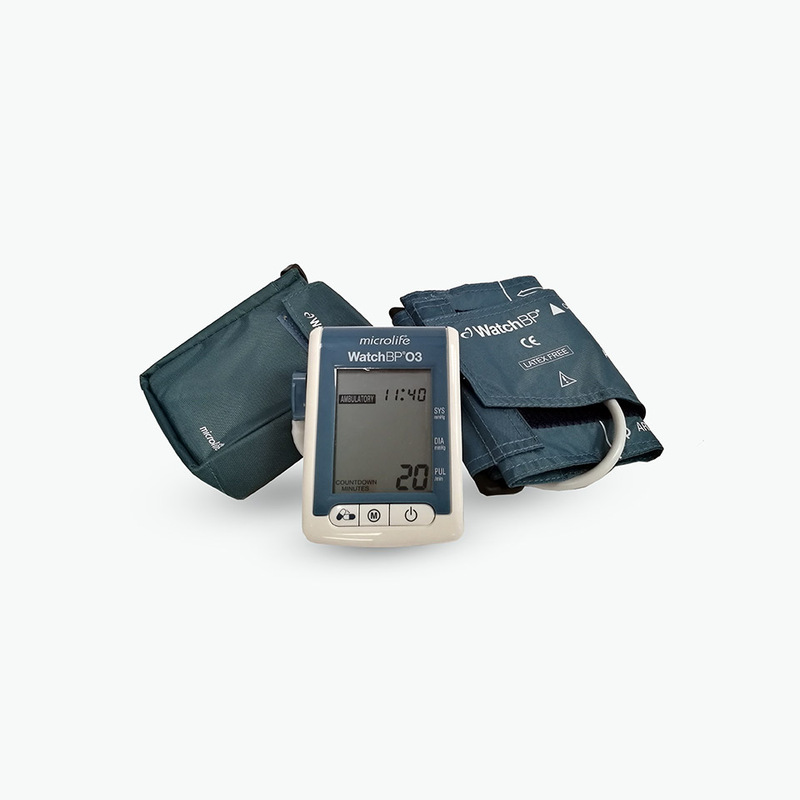 MICROLIFE WatchBP®03 is a “hybrid” ambulatory blood pressure monitor. Compact, light, medically validated and pluggable to a computer, this device can monitor blood pressure at home for 24 hrs. and it is suitable for advanced diagnostic and therapeutic evaluation of hypertension. The measurement system WatchBP®03 has obtained the GOLD rating level by the prestigious International Quality Certification. This device has a double operating mode: firstly, the Ambulatory mode of 24 hrs., allowing easy and immediate monitoring of blood pressure with several measurement programs. Measurement intervals are totally programmable on a 15, 20, 30 or 60-minute interval during daily or nightly measurement. In addition, this device has a so-called ‘Weekly Home-mode’, allowing two measurements in the morning and two in the night, at home and for one week, in a very easy and automatic way, that also provides the average weekly calculation, in accordance with the major International Guidelines. Moreover, this device is equipped with a Casual mode system for automatic and conventional clinical measurements, with 250 storable measurements and therapy-log with 50 storable notes. MICROLIFE WatchBP®03 was designed to obtain reliable and objective blood pressure measurement results in ambulatory and self-measurement conditions, adopting European Society of Hypertension (ESH) and American Heart Association (AHA) standards regarding off-site measurements. MICROLIFE WatchBP®03 has been medically validated by the ESH Protocol and it is legally certified and recognized by Italian Ministry of Health as class IIa medical devices.